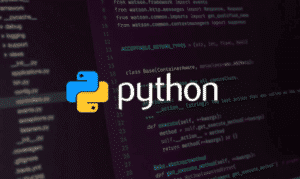 In this small article, we will see how to validate and format the JSON string using python. Parameter indent decides the number of spaces to use for indentation. Parameter sort_keys decides whether the keys in formatted JSON should be in sorted order or not. The default value is False. We can use the same code to format and validate the JSON file. Place a .json file with below content in the current working directory. Now use this piece of code to format the JSON file. Any error in JSON string will be reported with the exact location in the string. For example, a comma is missing in below JSON string. You can pretty-print the small JSON string directly at command terminal without using python script file. Use below a line of code. Hosting Django App on PythonAnyWhere server. If you like this post, give it some sharing ? I hope you enjoyed what has been introduced in this post about the validation, format and Beautifying JSON string via Python.